Hi y’all! Thanks so much for being patient! Apparently I have some bad news.I won’t be able to post my new pattern this week…. instead I have another made by an awesome person out there! If you like this then tell me in the comments ok? Alrighty here it goes! These are much easier then they seem! Yet another tutorial guys! Crazy isn’t it? well soon I will be posting more patterns so its a good idea to have these basic stitches mastered This is the treble crochet one of the larger stitches if your are looking to have a blanket done soon use this stitch! 2.In third Chain from hook do 2 double crochets skip a chain and do 2 more double crochets (in same chain) repeat till there is one chain left. 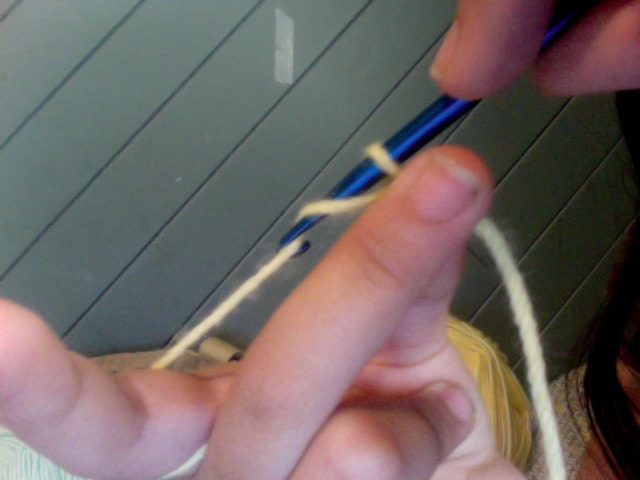 3.At last chain do one double crochet then chain 3 and turn. Then go in next hole and do 2 more double crochets. Repeat till the end. 5. Chain 3 and turn repeat step 4 till there are enough rows on your blanket to satisfy you. 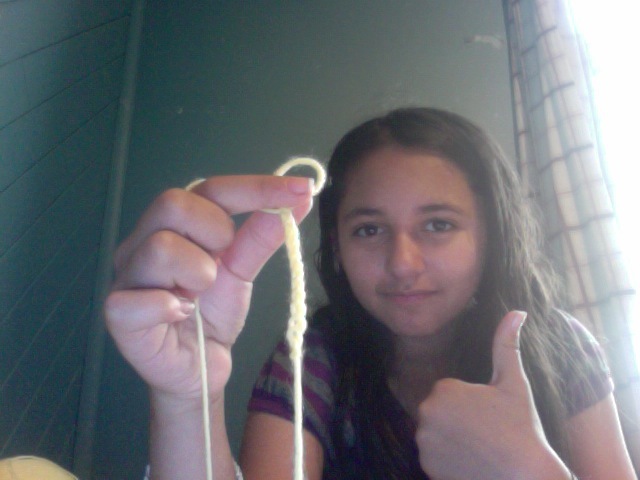 Hello everyone, today I am going to show you how to do the chain in crocheting. 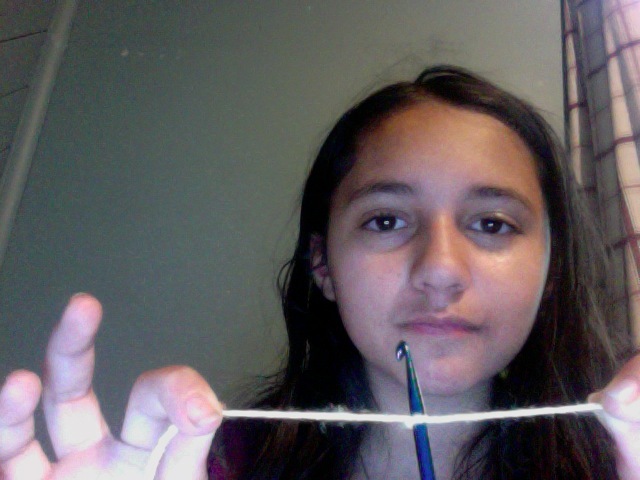 The chain is the first thing to learn in crocheting, its how you would start a purse or blanket. 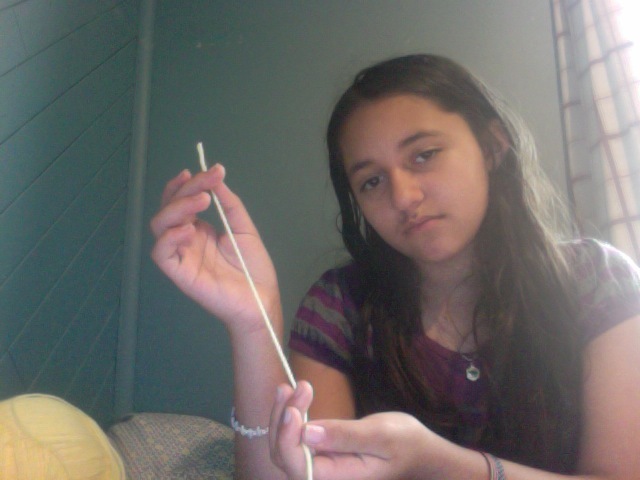 So heres our string not much right? 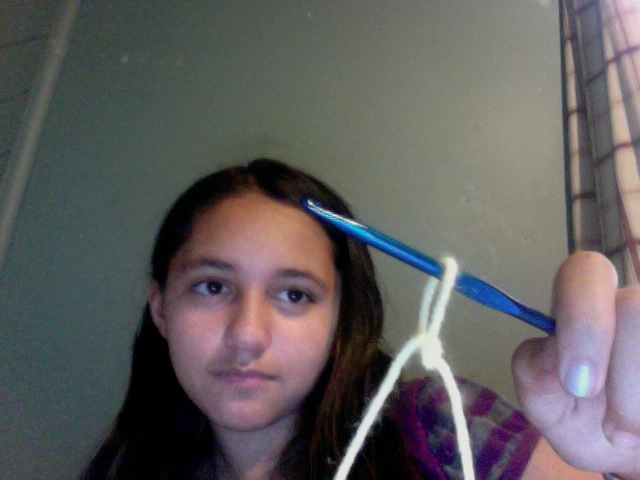 Pull both end of the string to make the hole small.